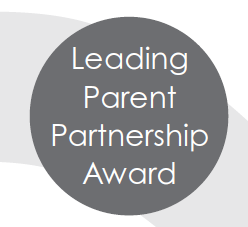 We are using the Leading Parent Partnership Award (LPPA) to help strengthen our school’s partnership with parents. LPPA is a national award that will give us recognition for our commitment to working with parents. · improve communication between home and school. Involving yourself in your child’s education is an exciting challenge, with excellent benefits for your child, for you, for the school and for the local community. Research has identified that, at age 7, a parent’s influence on a child’s learning is six times that of their school and even at 11 years old, it is 29% greater. Increased involvement can raise achievement by at least 18%. No involvement means low or no qualifications at 16. If you would like more information, please contact the school.